Peta Clarke; Animal Training solutions – ABC’s & K9 Nose Work …. Peta Clarke lives and breathes the animals she works with. 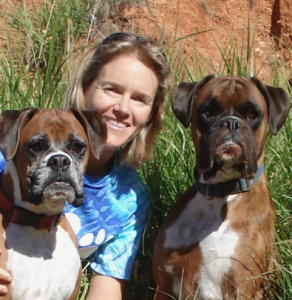 With over twenty-five years’ experience working as a professional animal trainer in a variety of settings both in Australia and America, she has immersed herself during that time in the practical and theoretical application of reinforcement training in the care of literally thousands of animals. While all trainers have their favorite animals and even breeds, she urges us to step outside our comfort zone and work with as many different species as we can. Peta says only when you train animals that push you past your boundaries will you really continue to learn and grow as a trainer and more important than anything else really learn to trust the science. Wow, just wow. Loved this Peta & Ryan. Thankyou. Very nice! I love the enthusiasm about Nosework as a therapy! Love listening to you speak Peta …and Ryan, you barely had to do anything for that podcast,eh 🙂 What a speaker! I just love Peta ,what an awesome and lovely person. Definitely going to look into nose work to help my anxious reactive dog, thank you Peta and Ryan.